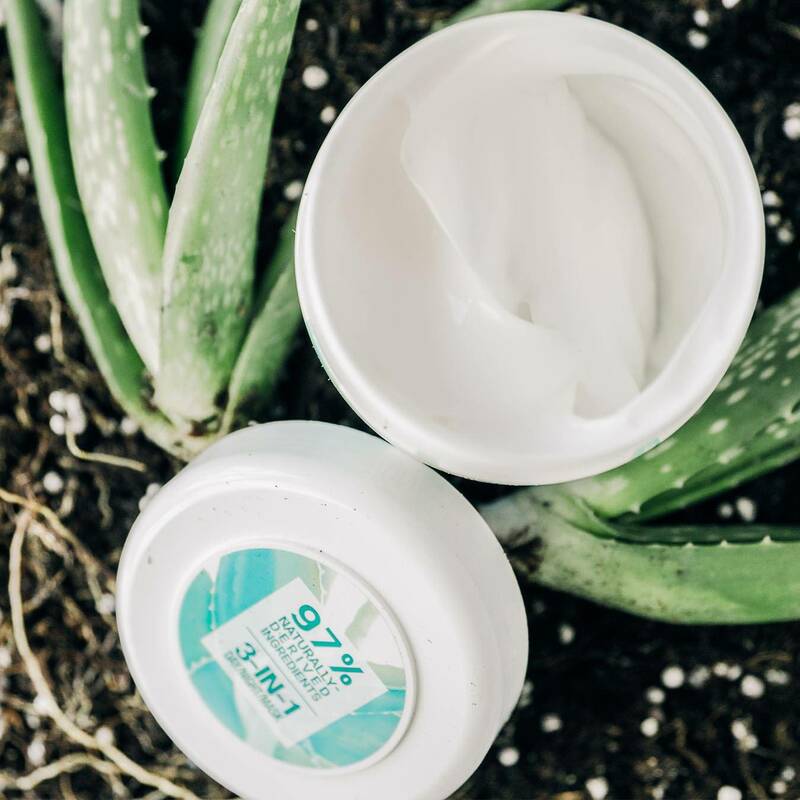 Made with Aloe Juice, this 3-in-1 face moisturizer is three products in one: a day moisturizer that refreshes, a night moisturizer that hydrates, and a face mask that nourishes. This fast-absorbing, non-greasy cream instantly hydrates leaving skin feeling smoother and softer day after day. Suitable for sensitive skin. DAY: Apply in the morning to clean skin. NIGHT: Apply at night to clean skin. MASK: Apply a thick layer to the skin twice a week at night, avoiding the eyes and lips. Leave on for 10 minutes, and if needed tissue off excess. Rated 1 out of 5 by Zoe123 from READ THE INGREDIENTS I have sensitive combination skin. I bought this moisturizer a couple weeks ago because I thought the aloe would help my winter dryness. This product made my skin 10x worse, my face is now cracking and flaking off. I wish I read there was salicylic acid and other drying chemicals before I used it. It smells good though and feels nice when it’s on! Rated 5 out of 5 by Sunny202 from Doesn’t feel greasy at all! 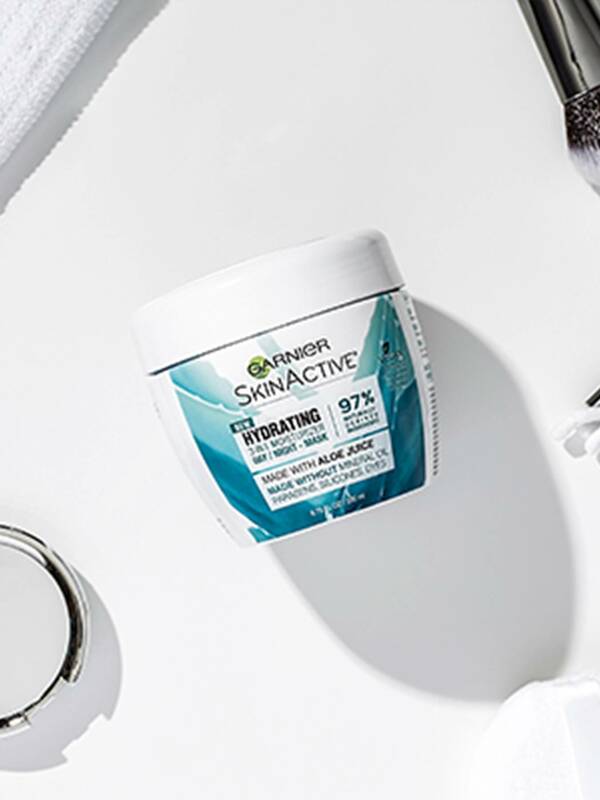 I usually dislikemoisturizers because they feel like a heavy layer over my skin and it takes ages to absorb, but this absorbes almost instantly and leaves my skin feeling refreshed. Unlike traditional moisturizers which give a oily look to your face before it’s absorbed, This one gives a really beautiful natural glow to your face. I worried about the strong smell at first but when it’s on your face you can’t even smell it. Rated 5 out of 5 by Bunnygirl15 from My favorite product! This moisturizer is amazing! I use it as both a day and night mask. I also love that the ingredients are 97% vegan. This product makes my complexion very bright and I've received several compliments. I always refer them to this product because it's just that amazing. 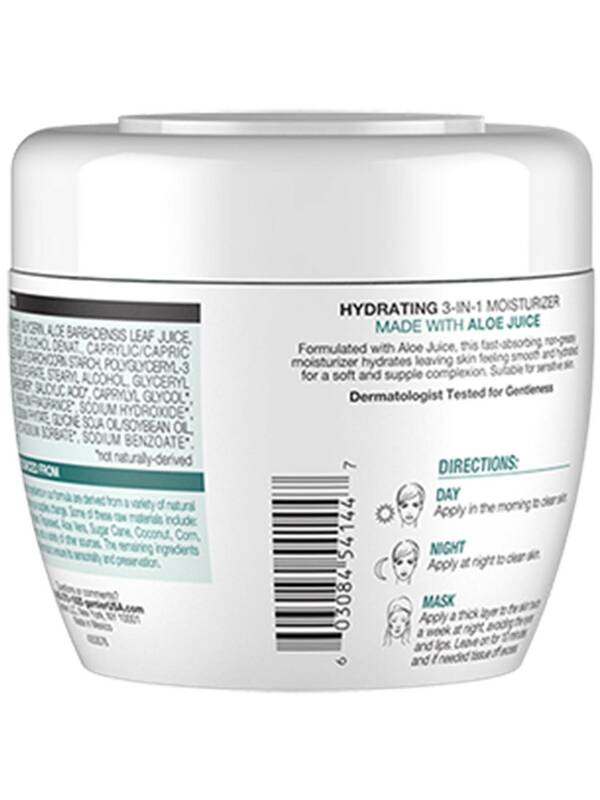 Rated 5 out of 5 by AB26 from So hydrating! This product really helped fix my winter dry skin. I loved how great my skin felt when I woke up in the morning after leaving a thick layer overnight. Rated 5 out of 5 by Cl86 from Amazing product I ordered this online at Walmart and received it a couple days ago I have used it a total of 3 days and I am blown away by the results my skin was super dry and I had flaky patches around my mouth and now they’re gone and my face feels so hydrated without feeling greasy. The price is so low and you get a ton of product! 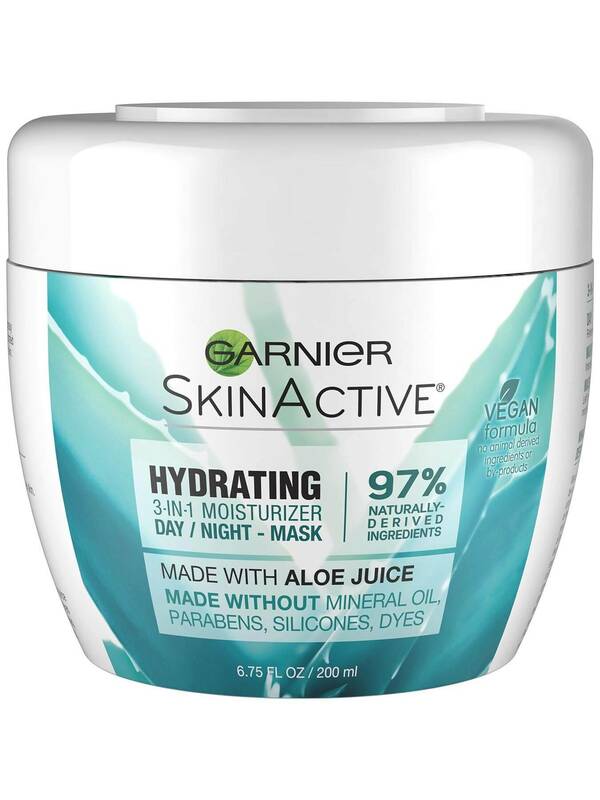 Rated 4 out of 5 by WenDeeBee from Great for rosacea In general, I love Garnier products for both hair and skin. Since I suffer from rosacea, I'm always looking for skin care products. I maintain real aloe plants but it's messy and impractical. This product is pretty good after a week of twice daily use. My redness is diminished. I'd like to point out that several other Garnier products have worked for my rosacea and then they stop making them. Please don't stop making products that calm and cool skin. Rosacea is hard to treat. Rated 5 out of 5 by Aimeej from Great moisturizer The first product I tried by Garnier was the Micellar Water. I love it and decided to venture forward with other products. I suffer with atopic dermatitis...all over my body...so I have to be careful what I use. I like this 3 in 1 product in every way that makes it that way. It definately does what it promisses and with very natural ingredients. It's gentle enough yet powerful enough at the same time...which can be hard to find. The smell is very nice as well a the creamy texture that feels really great when applied as a mask or a moisturizer. Having used Aloe in its purest form before while seeking some skin relief, I can definately feel its presence in this product. I will continue to use this along with the Cream Cleanser...they go very well together or just on their own. I recommend this for those with sensitive skin like mine. Its nice to find something that works and holds up to its promisses.